Chelsea will reportedly still have to pay Antonio Conte’s wages for the remainder of his contract despite him being linked with a return to Juventus. 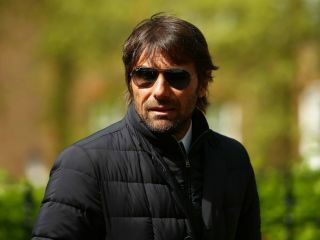 The Italian tactician left Stamford Bridge last summer after a tumultuous end to his tenure, despite the fact that he delivered a Premier League title and FA Cup in his two years in charge. Compatriot Maurizio Sarri has since replaced him, while Conte remains out of work for the time being as he considers his options. According to The Express, not only is it suggested that he could return for a second spell at Juventus, but also that Chelsea will have to pay him what he’s owed on his contract before he secures a return to the Bianconeri. As noted by The Guardian in 2017, it was suggested that Conte signed a new deal which ran until 2019, and so it would appear as though he is seemingly going to continue to be paid until this summer, at which point he’s a free agent to go out and get a new job with Chelsea’s financial obligations over. Time will tell if confirmation of that is publicly announced, but for now it remains to be seen if Massimiliano Allegri does leave Juventus at the end of the season to pave the way for Conte’s return. The Turin giants are well on course for an eighth consecutive Serie A title, but with a deficit to overcome against Atletico Madrid, their frustrations and failures in the Champions League look set to continue despite the signing of Cristiano Ronaldo last summer. With that in mind, perhaps a change on the bench will be needed to freshen things up, but it remains to be seen if the Juventus hierarchy decide that Conte’s the right man to come back at this stage.